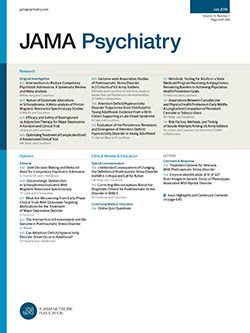 • Twenty acutely psychotic male psychiatric inpatients were assigned to two groups and treated with high- and low-dose haloperidol using a rapid neuroleptization technique. A six-day maintenance phase followed. Both groups improved at one hour, one day, and seven days after starting treatment, and neither group differed as to degree or rapidity of symptom alleviation. Therefore, the results of the study do not give experimental support for the administration of high doses of haloperidol to young, acutely psychotic inpatients with relatively good prognoses.